Dressage Association of Southern California > Uncategorized > Exciting new events with DASC for 2018!! Exciting new events with DASC for 2018!! Join us for discussion of the first three chapters of The Complete Training of the Horse and Rider by Alois Podhajsky. The discussion will be led by German Schnieder and Jodie Cressman, along with a delicious POTLUCK dinner!! Led by Lauri Walker of Proactive Pilates! SABINE SCHUT KERY – Dream Horse: The Making of Sanceo From Age 3 to International Grand Prix! DASC ~ Are you a member? Membership has great benefits! 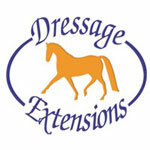 Join DASC today and take part in a unique awards program and be part of a energetic dressage community in Southern California.